*Reprinted from The Dao of Taijiquan – Way to Rejuvenation With the Permission of The Tai Chi Foundation, Publisher. 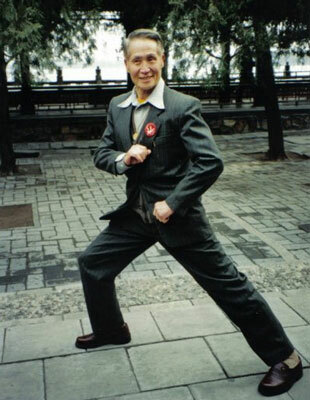 In 1984 Master Jou founded the legendary Tai Chi Farm on 103 beautiful acres in Warwick, NY. It was there that he held classes and hosted workshops in taijiquan, qigong, and meditation, invited other world-renowned teachers to share their arts, and hosted the Annual Chang San Feng Festival which was attended by Tai Chi enthusiasts from all over this country and the world. After Master Jou’s death on August 3, 1998 his students continued classes, workshops and the Annual Festival at the Farm until it was sold in 2000. It was then that Master Jiang, Jian-ye, a great friend and colleague of Master Jou, suggested that the students approach the Jou Family for their approval to continue to carry on teaching their father’s principles, practices, and philosophies in his name on the grounds of an old farm owned by one of the students in Wantage, NJ, 12 miles due west of Tai Chi Farm. The Family gave their approval and The Master Jou, Tsung Hwa Memorial Tai Chi Park was dedicated in 2001, with the Family cutting a ribbon at the Willow Lawn Gate on the property. Master Jou had visited the grounds several times during his lifetime and always remarked on the wonderful, peaceful energy he felt there. He also noted the remarkable physical similarities to Tai Chi Farm: the open fields, deep woods with old-growth trees, and the steep slopes running down to the meandering stream bisecting the property. At one point he said, “You can have a Tai Chi festival here” and motioned where the tents for the workshops should be set up. In 2003, Master Jou’s daughter, Liz Jou, The President of the Tai Chi Foundation (which continues to publish his three brilliant books) flew from her home in Phoenix, Arizona, to attend her father’s 3rd Annual Birthday Celebration. Since then, she has attended each year and has been a wonderful friend and advisor to The Park. We would like to express our most profound and heartfelt gratitude to Liz for her unflagging support and encouragement in sustaining our efforts to help keep her father’s teachings alive and to advance his dream. This is the Official Website for The Master Jou, Tsung Hwa Memorial Tai Chi Park Foundation located in Wantage, New Jersey. 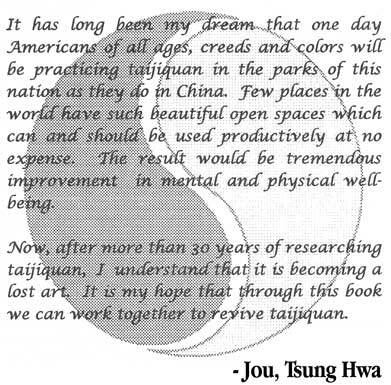 Copyright 2003-2019 by Master Jou, Tsung Hwa Memorial Tai Chi Park Foundation. All rights reserved.